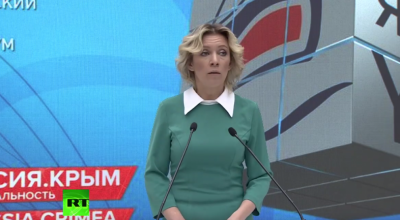 With the next European election looming large on the horizon, time is clearly running out for the Opposition party to sort out its internal conflicts in time to avoid an umpteenth electoral catastrophe. One year after the election of Adrian Delia as new PN leader, the party is still split into two diametrically opposed camps. Nowhere was this rupture more evident than during Delia’s Independence activities on the Fosos at Floriana last weekend. In contrast to former PN leaders’ approach to such activities, Adrian Delia has understandably opted for low-key events: focusing on smaller, more intimate discussion meetings, rather than the huge mass rallies of yesteryear. There is nothing wrong with the approach in itself; but it is worrying that the leader of the once-hegemonic Nationalist Party still seems uneasy when it comes to addressing large-scale mass meetings... as he did during last year’s Independence celebrations, which were also confined to a small corner of the Granaries esplanade. Of particular note was Delia’s rallying call: “It is not safe to walk the streets under Labour, come and walk with us,” he said in a rising crescendo; even though it was clear that a sizeable portion of the PN’s own electorate chose not to ‘walk with’ Adrian Delia’s PN on that occasion... opting instead to ‘walk with’ his predecessor Simon Busuttil, at a vigil held concurrently at the makeshift Daphne Caruana Galizia memorial in Valletta. Significantly, mention of the Opposition... Adrian Delia’s party of course, was greeted by boos at the latter event; and the Opposition party was called on to ‘wake up’, and at one point even ridiculed for focusing on ‘bread and butter’ issues. But while many Nationalists were booing their own party leader, Delia himself took the opportunity of his speech to thank all his predecessors: mentioning only Ġorġ Borg Olivier, Eddie Fenech Adami and Lawrence Gonzi by name, and very conspicuously omitting Simon Busuttil. Clearly, it is no longer possible to deny that the PN has split into two parties in all but name. There is an irony in this, as part of the rationale behind the General Council electing Adrian Delia in the first place – in defiance of the Executive Council, which had urged him to withdraw from the race – was to rid the PN of its divisive elements. The General Council is ultimately composed of card-holding ‘tesserati’; while the Executive Council represents the party’s structures and institutions. This suggests a split between the party’s own grassroots support-base, and the internal hierarchy of power that has evolved within it over the years. Resistance against Delia is partly explained by a sense of entitlement among the party’s old guard, in the face of defiance by party members. As time presses on, this divide is steadily growing deeper. From this perspective, it is altogether too facile to dismiss the unrest as a symptom of a personal/political feud between Adrian Delia and Simon Busuttil. It is more like a tug-of-war between the party’s true ‘owners’ – its card-holding members – and an elite group of dissidents who over the years have laid claim to the party ‘ownership’. 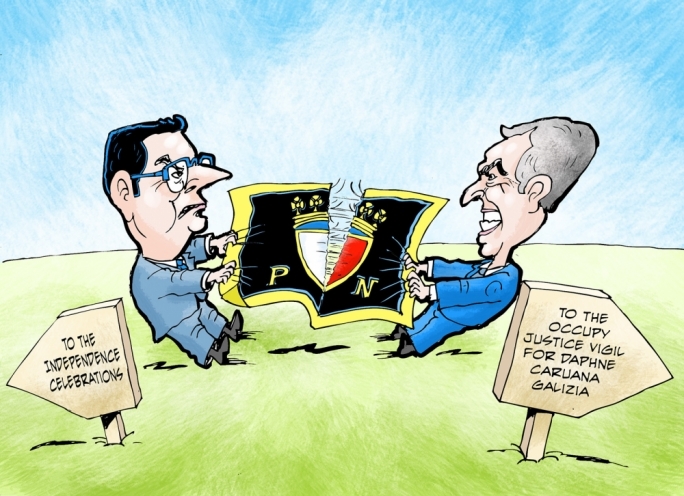 As a result, the PN remains beset by infighting, and is still torn between an experiment to sharpen its identitarianism – represented by Delia - and the Busuttil faction that refuses to back down from its righteous claim to ‘take back’ its former status in the party echelons. This is not a situation that can linger unaddressed until the next European elections... still less until the next General Election, scheduled for 2022. It is now also obvious that attempts at ‘mediation’, spearheaded by former PM Lawrence Gonzi, have failed. There are, of course, many who would applaud such a scenario – and it is, in fact, indicative of the seriousness of the situation, that some of them would be found within the PN’s own traditional rank and file. But any such eventuality could only have catastrophic effects on Malta’s political development in the short term (in the long term, new parties can and will arise to fill the vacuum... but not before the present government will have enjoyed a years-long run of governing this country practically unopposed). This would be worrying at the best of times; in today’s climate, it is a cause for utmost concern. As we enter the season running up to the European elections 2019, Prime Minister Joseph Muscat enjoys unprecedented approval ratings. How much of this can be put down to his own popularity, and how much to the spontaneous combustion of the Opposition, is admittedly hard to tell. But Muscat clearly intends making hay while the sun shines. His administration is ramping up on big capital investments in roads. He hopes to use this European campaign as a way of cementing his status as a successful prime minister. 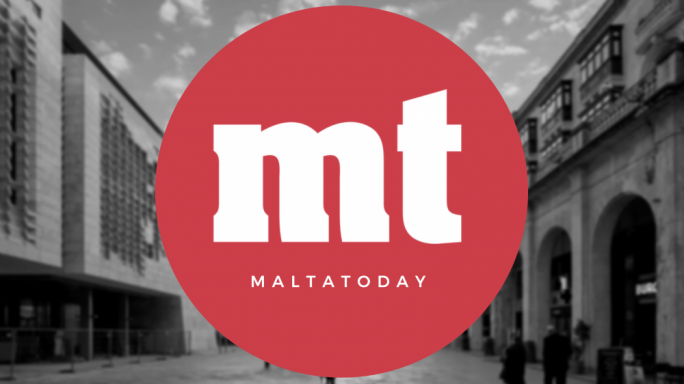 It is a situation that gives the dominant establishment running Malta ample room to manoeuvre around democratic checks and balances, while the Opposition struggles to find its own feet. It is therefore in the country’s interest, as much as it is in the PN’s, to somehow find a means to glue the two mismatching fragments back together, and avoid an almost unavoidable collision between the Nationalist Party and its own destruction.